Time has fallen away from me again and I have let this space – and my writing – sit quiet for a few weeks, intentionally and not. I got back into that place in my mind where I was analyzing what to write about, what to share, what not to share, etc and it left me speechless. I was reading a lot of great books and seeing a lot of genius quotes and phrases and thoughts online and sitting there thinking that my words are just not good enough. Not worth putting out there. Not up to par. For you and for me. I am really good at overthinking instead of just doing, particularly when it comes to matters of the heart and soul. So today, I am just doing. No real direction in mind, no real message to share, no real purpose behind it. Just to sit down and do it. To catch it before it falls again. There has been a really special butterfly migration happening across southern California this past week. Someone online had simply posted “Butterfly run! Go!” and that’s how I first came upon it. Instead of sharing a link to the multiple articles that outlined the migration pattern, its history, its effect on the butterfly population, he just said go. Look at it. So I did. I would call it stunning, but it wasn’t quite that. It almost felt like an eerie locust or moth invasion at first, until you realized (with the help of social media, of course) that they were painted lady butterflies – a blur of orange and black – flying by you by the hundreds, but in thin, random clusters of a dozen here and a dozen there. Apparently the wet winter we’ve had brought them through this area in search of the superbloom on their northern migration. We haven’t seen it happen to this effect since 2005. It took them thirteen years to retrace their steps along this path. To find the right time to revisit it. The effect was admittedly both a little surreal and a little strange until you stopped walking or driving or moving and just stood there for a minute to take them in. Only then did their dance start to look elegant and whimsical and their wings seemingly slowed down so you could see each individual flutter versus the mass of jittery movement you noticed at first glance. That’s when you felt the true effect. That’s when it was stunning, if even for a few minutes. That’s when you saw its true beauty. Standing on the side of the road. Catching it all. Before it falls again. Speechless. 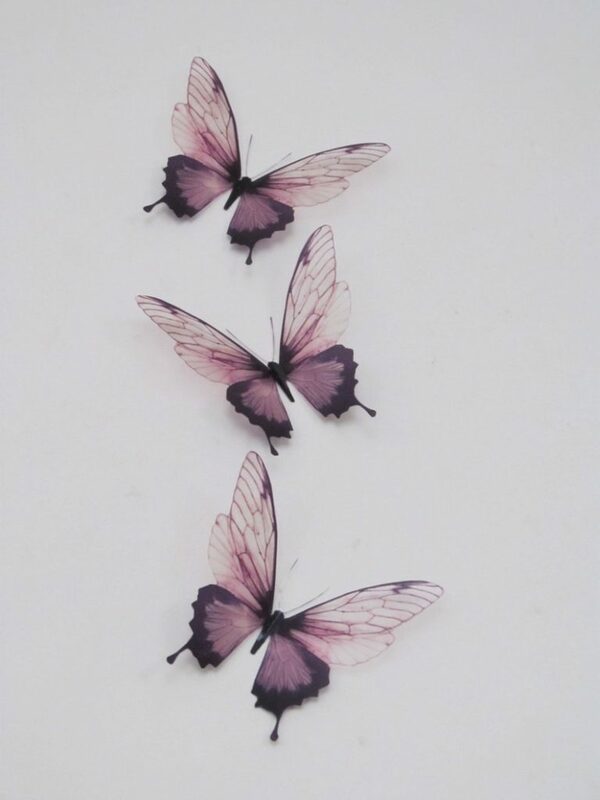 *image via Etsy of a beautiful piece of 3D butterfly wall art.